Mooring capstan, as its name indicates, is the capstan used for boat or ship mooring when the boat or ship reaches to a port or a dock. It has the same function as mooring winches. 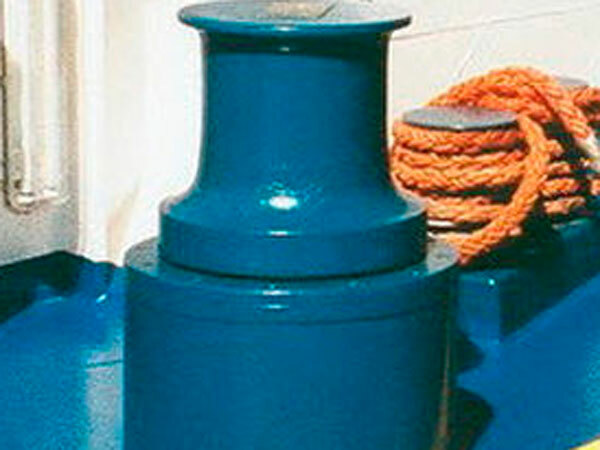 Mooring capstan is also usually used for boat anchoring. Material type of mooring rope will influence capstan drum size, fair-lead type and bending radius, occupied deck space and so on. It’s advised to choose the suitable mooring rope material according to strength, elasticity, durability and operating performance, and cable is suggested for large ship and synthetic fiber rope for medium and small ships. 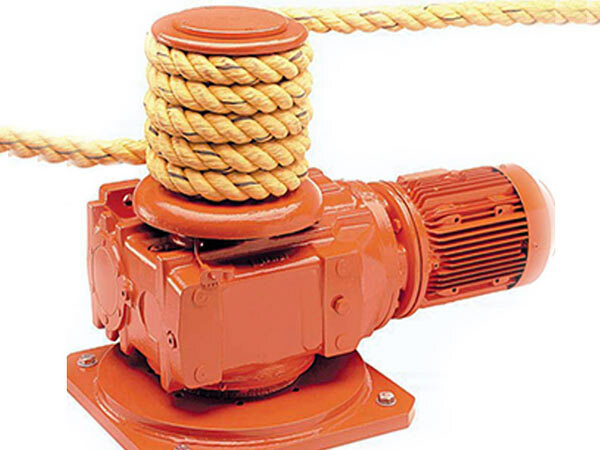 According to material and diameter of the rope, mooring capstans can be designed and produced to suit different types of ships. Bollard is cast or welded pile firmly installed on deck to fasten one end mooring rope, and there are single-post bollard and double-post bollard according to ship mooring needs. 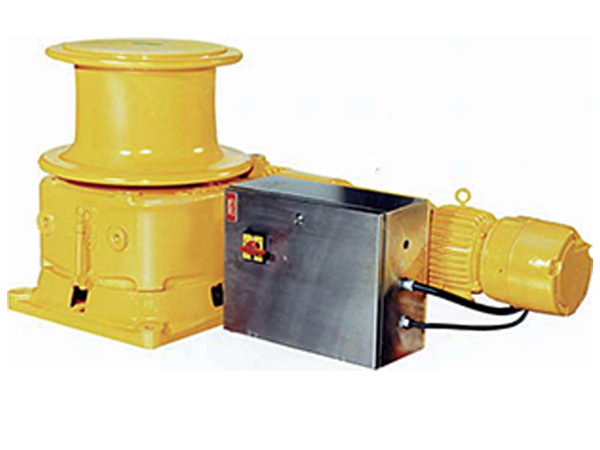 Mooring capstan winch can be driven by electric power, hydraulic power, pneumatic power, man power, and diesel power, among which electric and hydraulic power modes are adopted more widely. 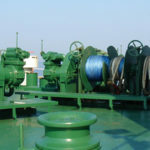 For ship mooring capstans, gypsy wheel is optional according to need, if chain is not used, there can be no chain wheel, if the ship adopts chain, and the chain wheel will be designed according to the mooring rope need, and the chain is stored in chain locker through chain pipe. (4) For synthetic fiber rope, it’s necessary to check its appearance wear and thickness. With proper and regular check and maintenance, the capstans can work with high efficiency all the time no matter they are electric or hydraulic mooring capstans. When you are planning on buying a capstan used for mooring operations, just remember that it is worth selecting a reliable and quality one because the quality capstan can make your mooring work much easier, quicker and safer. 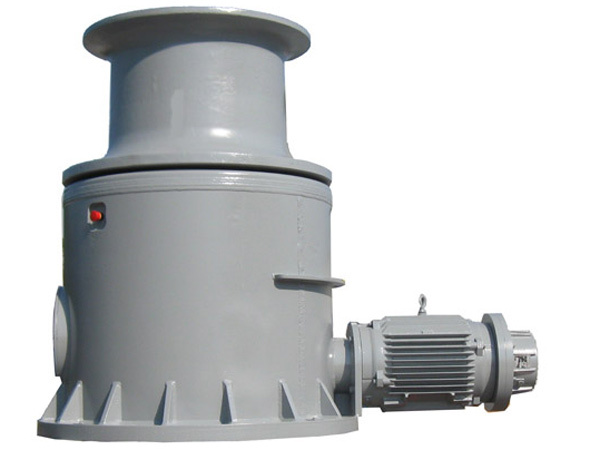 As a mooring capstan manufacturer with good reputation, Ellsen constantly strives for perfection in design and production, we provide all kinds of capstans, you will not be limited in your selection, and we promise that our capstans are with high quality and very reasonable price. Please contact us for more information if you need mooring capstan, and we will provide you with more details about capstans for sale.